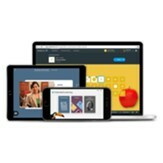 Rosetta Stone Homeschool subscriptions promote long-term retention and correct pronunciation—without memorization or drills. Using an immersion method that mirrors how you learned your first language, Rosetta Stone introduces words and phrases that build upon each other in an intuitive, connected way. Teach your child a new language with Rosetta Stone Homeschool! Rosetta Stone Homeschool promotes long-term retention and correct pronunciation-without memorization or drills. Just like you learned your first language, Rosetta Stone introduces words and phrases that build upon each other in an intuitive, connected way. Advanced speech technology. TruAccent speech-recognition technology listens, analyzes, and corrects your child's speech throughout the learning process. This 24-month family online subscription provides 3 students access to the full program for the language (or languages - each student can choose a different language, if desired) chosen for 24 months. To access online services: You must have a standard Broadband Internet connection (slow internet connections will not suffice). Please Note: Devices (laptop, tablet, and phone) are not included. This 24-month single student online subscription provides 1 student access to the full program for the language you choose for 24 months. This 12-month single student online subscription provides 1 student access to the full program for the language you choose for 12 months. This 6-month single student online subscription provides access to the full program for the language you choose for 6 months.